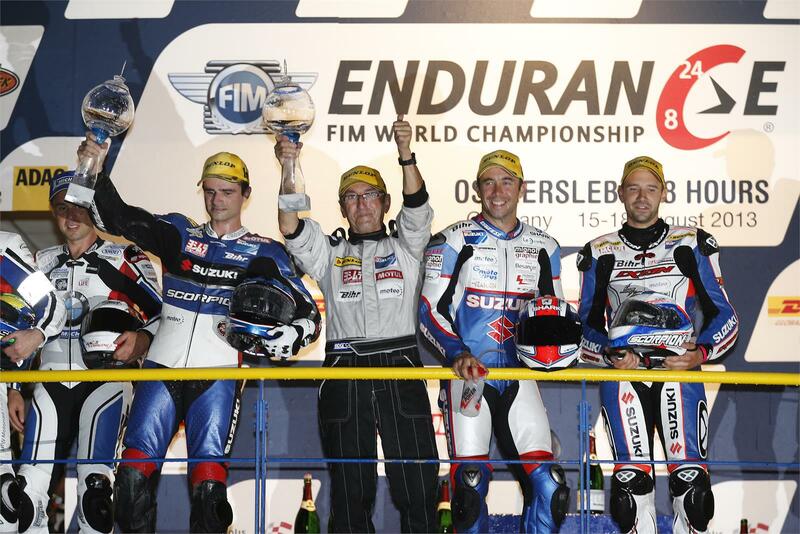 Suzuki Endurance Racing Team won the Oschersleben 8-Hour World Endurance third round after a start-to-finish victory. 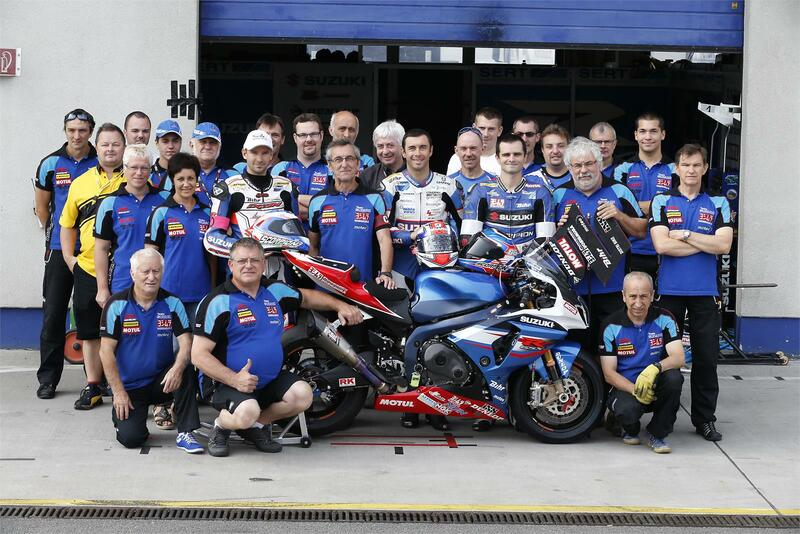 SERT’s GSX-R1000-mounted team of Vincent Philippe, Anthony Delhalle and Julien Da Costa recorded a total of 316 laps; two-laps ahead of second-placed BMW Motorrad France’s Sebastien Gimbert, Erwan Nigon and Damian Cudlin. SERT increased its lead in the series to 13 points over Monster Energy YART (84 to 71 points) after Broc Parkes, Josh Waters and Igor Jerman put their Yamaha into third position on 313 laps, just ahead of Kawasaki’s Bolliger Team Switzerland. YART and Parkes – who clocked-up the fastest lap of the race with a 1:27.151 – were in the running for second place on the podium until a small fire broke out during a pit stop that cost the team valuable time. Trouble hit Suzuki’s top Superstock Qualifiers Junior Team LMS, who ran second to SERT at the start and were in the top six for half-race distance until a crash put back into 27th position. But they returned to the track after repairs and climbed to 22nd overall, 31 laps down on the winners. Top Suzuki Superstock finisher was the Motors Events April Moto GSX-R1000 of Gregory Fastre, Claude Lucas and Michael Savary, who just missed-out on the class victory to the Penz13.com BMW, both teams completing 308 laps. 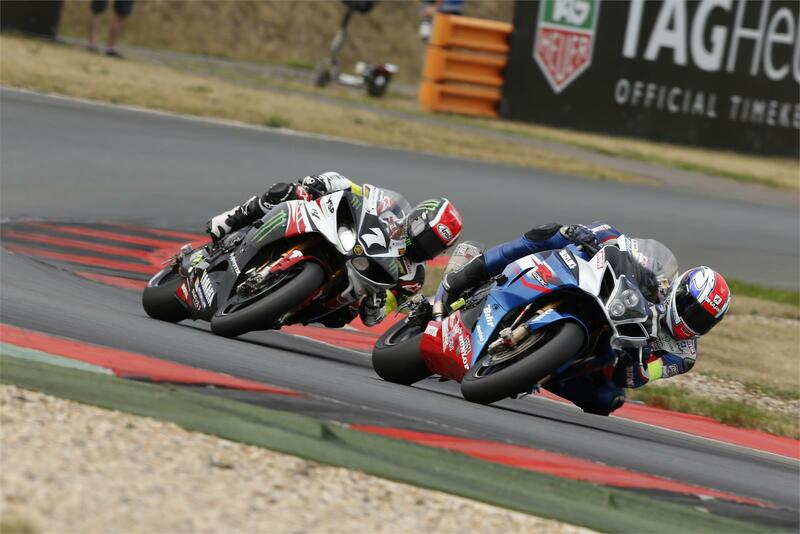 Motors Events currently holds second in the Superstock Standings with Junior Team LMS Suzuki third and AM Moto Racing Competition fourth aboard its GSX-R1000. The World Endurance Championship final round takes place at the 24 Hours of Le Mans in France on September 21-22 where SERT will be aiming to seal its 13th World Endurance crown. 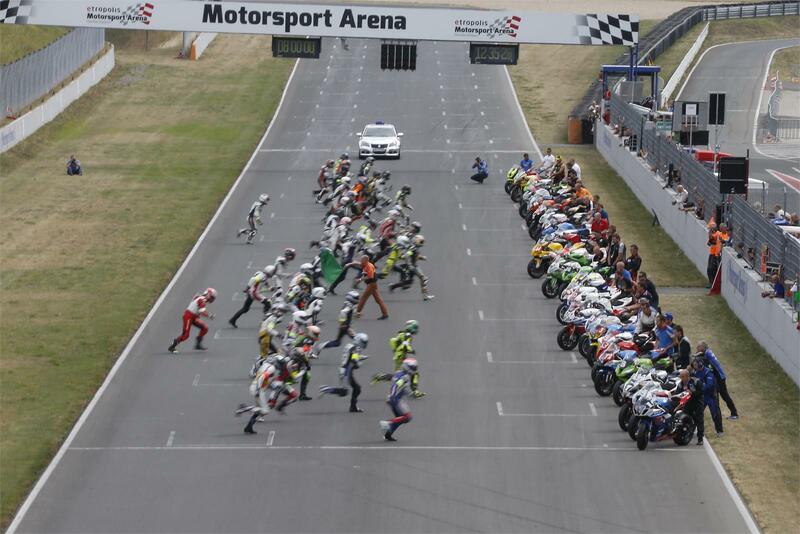 Oschersleben 8-Hour Results: 1 SERT (Suzuki GSX-R1000) 316 laps, 2 BMW Motorrad France (BMW) 314, 3 Monster Energy YART (Yamaha) 313, 4 Bolliger Team Switzerland (Kawasaki) 313, 5 Yamaha France GMT 94 (Yamaha) 309, 6 Penz13.com Franks Autowelt (BMW) 308, 7 Motors Events April Moto (Suzuki GSX-R1000) 308, 8 DGSPORT HEROCK (Yamaha) 306, 9 Honda TT Legends (Honda) 305, 10 AM Moto Racing Competition (Suzuki GSX-R1000) 303.